This was actually my second read of City of Bones. I met Cassandra Clare years ago and read it for the first time then! But unfortunately, I wasn’t a massive fantasy reader and I didn’t quite click with the book. This time was definitely an improvement! However, I did find it strange going back to The Mortal Instruments after The Infernal Devices. I wanted to read the prequels first as I’ve been told I’d understand TMI more by doing so, but I did find it difficult seeing Clare’s change in writing style. She definitely improved as she wrote, but I’m sure her writing will also improve throughout this series. Of course this was still a brilliant book, and I really enjoyed it. Usually with fantasy, we discover the world after the protagonist. Discovering this world alongside Clary has a very special feel and made her and her friends very easy characters to relate to. Having Simon in the mix also made for a gentle transition into this new world. I’m really excited for the rest of this series to play out, it’s definitely a page-turner and I’m enjoying it so much so far. 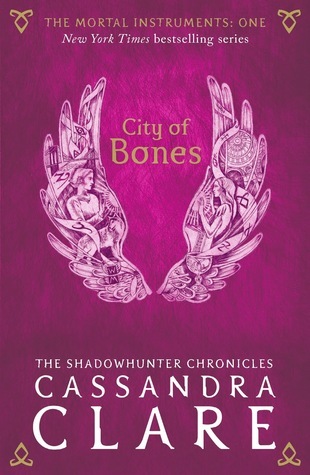 At the moment I feel like The Infernal Devices is likely to hold a very special place in my heart, but The Mortal Instruments is sure to be up there too.